IBTIKAR (Arabic for innovation) acts as a platform to channel the innovative spirit within our business and beyond to generate ideas that find new ways to do business. We are focused on building our own sector and business lines to make it easier and far more efficient for our customers, staff and stakeholders. Above everything. 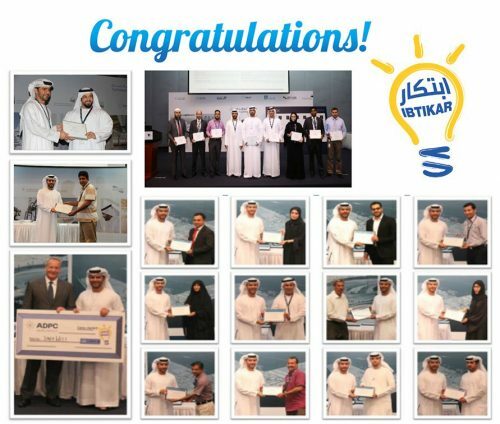 Being a continuous success story ever since its launch in December 2013, IBTIKAR, Abu Dhabi Ports in-house suggestions scheme program, has continued to encourage active participation from, not only its own employees, but also from customers and stakeholders to be idea generators. We launched this powerful in-house think-tank to bring about creative change and growth within the maritime and trade sectors in the region and globally. At Abu Dhabi Ports, we believe that innovation should start from within. We encourage input and suggestions from everyone because great ideas can only be generated through collaboration between teams that embrace the spirit of participation. IBTIKAR follows a systematic approach to ensure a reliable method in dealing with ideas and suggestions. Our objectives behind this program are to ensure the delivery of real results, stimulate feasible ideas, and align our services based on a stakeholder-centric approach. In November 2016, IBTIKAR was accredited by ideasUK, marking a new milestone for Abu Dhabi Ports to become the first ports company to receive this acclaim worldwide. 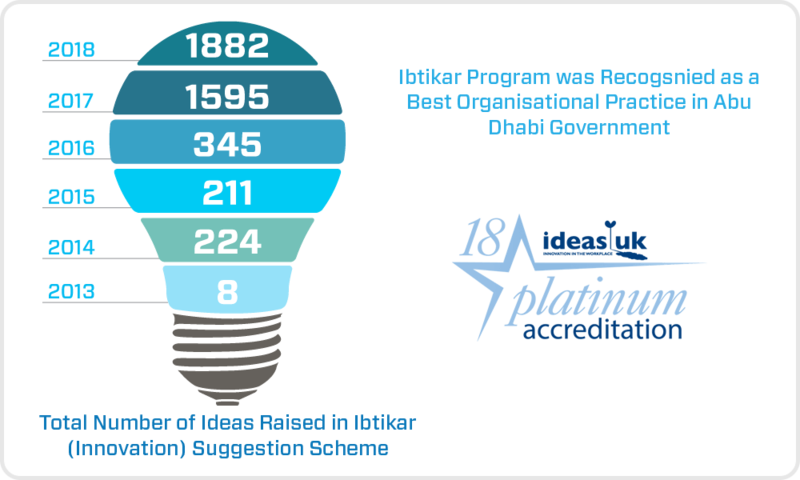 ideasUK is one of the most prominent associations for the promotion of employee involvement programs in UK and globally. Initially instituted to encourage and honour employees demonstrating exemplary commitment towards elevating the corporate performance, IBTIKAR is now going global. We offer opportunities to international participants with different perspectives, from across the globe. 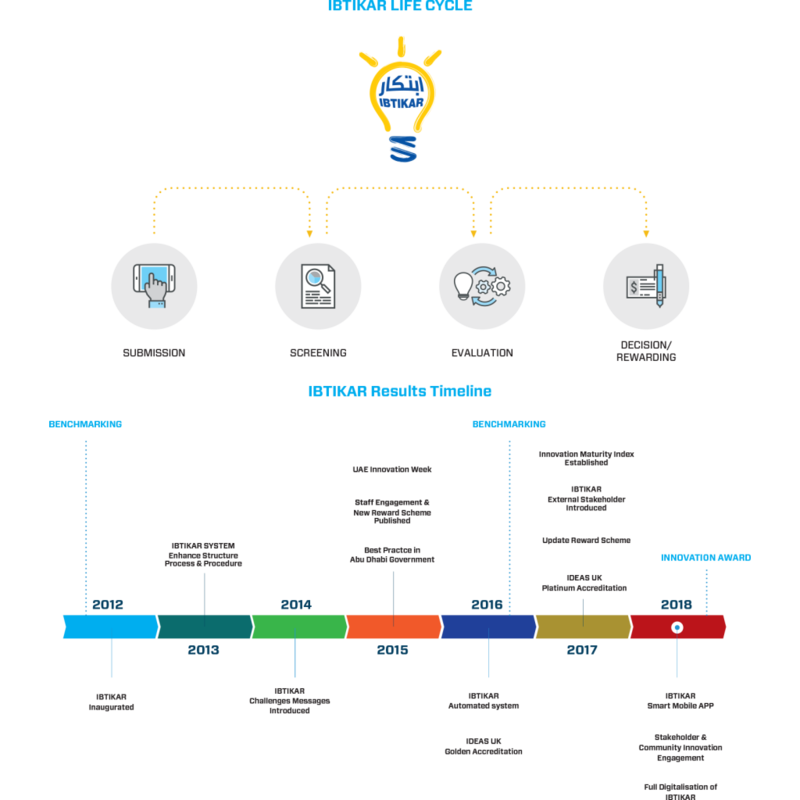 Be an idea generator or innovator by taking part in our success story!